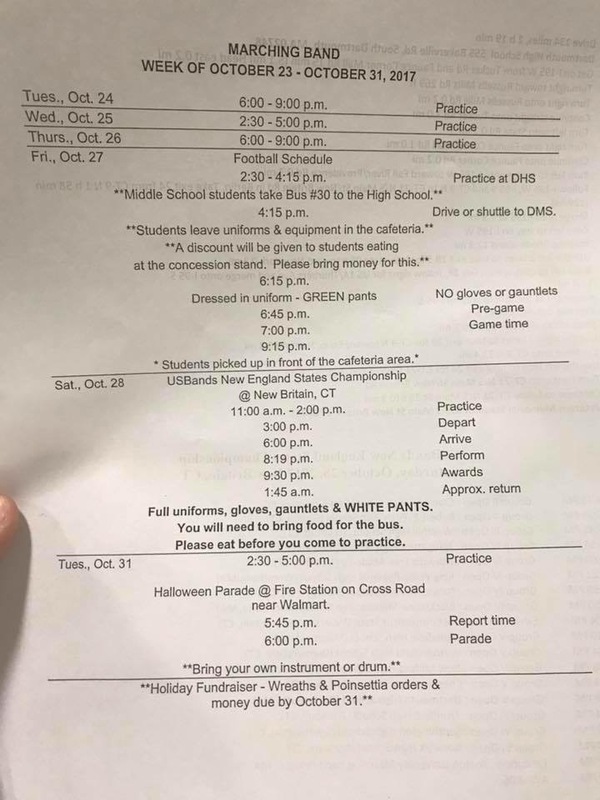 This week’s itinerary has been emailed out to marching band & colorguard families. You can also find a copy at this link. Do not forget the meeting tomorrow night (October 26) at 8PM in the high school auditorium to discuss the MetLife trip and the upcoming mattress fundraiser.